"Because I sell direct to you, these high performance fins are ½ the price of similar high quality fins sold at dive shops." Available in small sizes for Women! NOT your typical plastic fin!!! 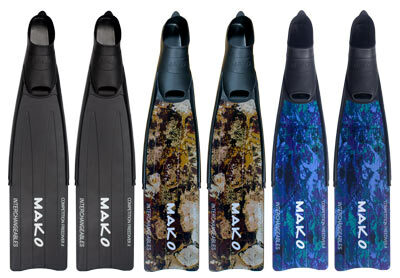 Interchangeable blades made of patented high tech polypropylene infused materials, combined with my MAKO high performance foot pockets. INTERCHANGEABLE- (NO MESSY GLUE!) 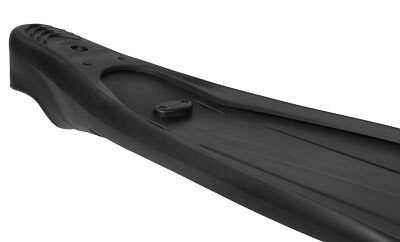 Easily switch from Black Blades to Camo blades, Fiberglass or Carbon blades in seconds! No glue! No mess!! Our fins are sold by the pair. If you ever loose a fin, MAKO will sell just one fin. Being so heavily invested in unmatched customer service, we are one of the only companies that offer this service to our customers. 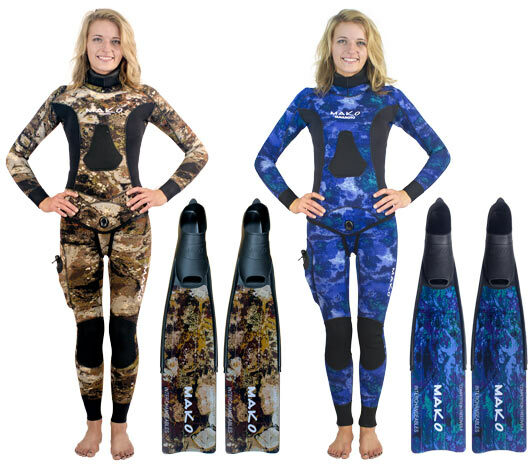 The Women's Competition Freediver II Fin camo patterns are designed to match our Reef Camo suits & Ocean Blue suits. 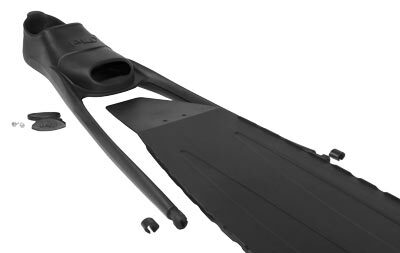 Whether you're upgrading your composite freedive blades to carbon, or swapping out your black fiberglass blades for camo, it's a straight forward process when you know the technique.